Asia-focussed equity hedge fund Steadview Capital Mauritius Ltd and world's oldest sovereign wealth fund Kuwait Investment Authority are among 15 anchor investors which have bet on Dixon Technologies (India) Ltd’s initial public offering that opens on Wednesday. Goldman Sachs India Fund and Nomura Funds Ireland are among other foreign investors which took part in the anchor allotment on Tuesday. The Noida-based contract electronics manufacturer, which counts Motilal Oswal Private Equity Investment Advisors Pvt. Ltd as its PE backer, raised Rs 179.78 crore ($28.04 million) by selling 1.01 million shares to a bunch of institutional investors at the upper end of the Rs 1,760-1,766 price band. Steadview, Kuwait Investment Authority, Goldman Sachs and Nomura Ireland each bought shares worth Rs 12.05 crore. Anchor investors also included Indian asset managers such as SBI Asset Management, Birla Sun Life Trustee, HDFC Mutual Fund, ICICI Prudential Asset Management and Franklin Templeton Mutual Fund. Besides, the anchor allotment saw participation from Indian insurance firm Tata AIA Life Insurance. The IPO opens on Wednesday and closes two days later. Dixon Technologies is seeking a valuation of as much as Rs 1,946.01 crore (around $305 million) through the IPO. The IPO comprises fresh issue of shares worth Rs 60 crore, besides a secondary sale of 3.05 million shares by promoters and part exit by existing shareholder Motilal Oswal Private Equity Investment Advisors. Motilal Oswal Private Equity, through its two funds—India Business Excellence Fund and India Business Excellence Fund-I—will sell 2.6 million shares. Its shareholding will drop to 6% post the IPO compared with 23.65% it holds currently. The private equity arm of Mumbai-based Motilal Oswal Financial Services owned 30.06% stake when Dixon filed the draft prospectus with the Securities and Exchange Board of India. 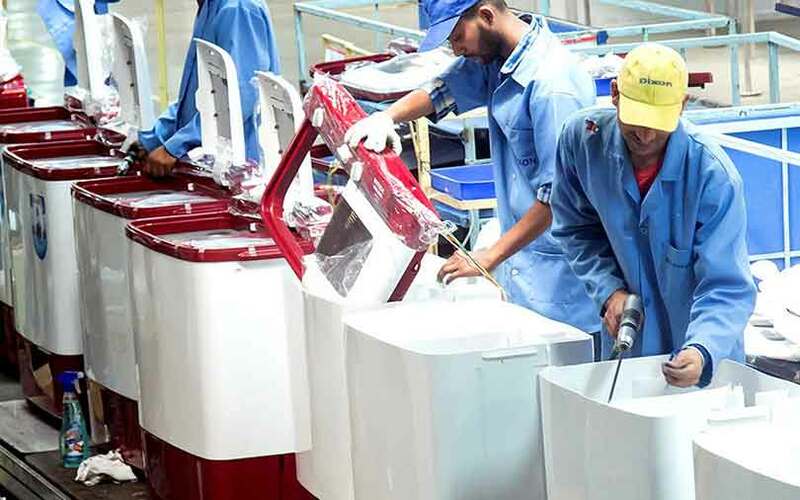 The company aims to use the fresh money towards payment of borrowings worth Rs 22 crore besides spending Rs 7.57 crore for setting up an LED TV-manufacturing unit at its Tirupati facility. The company also aims to spend Rs 8.85 crore towards enhancing backward integration capabilities in the lighting products vertical and Rs 10.6 crore for upgrading the IT infrastructure facility, in addition to general corporate purposes. At the upper end of the price band, the IPO size is Rs 545.27 crore ($85.3 million) and will result in a 28% stake dilution on a post-issue basis. The Noida-based company, which was formerly known as Dixon Utilities and Exports Pvt. Ltd, will join listed peers Centum Electronics Ltd, MIC Electronics Ltd and PG Electroplast Ltd.
To be sure, Dixon’s planned filing and the subsequent listing will make it the first electronics component contract manufacturer to opt for the capital markets-route since PG Electroplast went public with a Rs 121 crore IPO in September 2011. Other unlisted companies that Dixon’ competes with include Jabil Circuit India Pvt. Ltd, SFO Technologies Pvt. Ltd, Elin Electronics Ltd, Rangsons Electronics Pvt. Ltd, and Amara Raja Electronics Ltd, the arm of $2.3 billion Amara Raja Batteries Ltd.